We were all saddened when we learned of the death of Heather Foggo last week. Heather was running in the United Kingdom’s Mighty Deerstalker Race, which is a 10-mile off-road race in Scotland. Foggo, a nurse, was seen struggling one mile into the course and collapsed. Medical assistance was on scene within three minutes, as per the Mighty Deerstalker and she later passed away. Foggo was an experienced obstacle course and mud runner. She was a nurse and therefore knew the human body well and would have known if she was not able to race that day. By getting to the starting line and beginning her race, all have assumed that she felt fine until she showed signs of collapse. Foggo’s untimely passing reminds us that we are all fragile, no matter what we think and feel. We all go out on these racecourses and attempt to complete insane things. 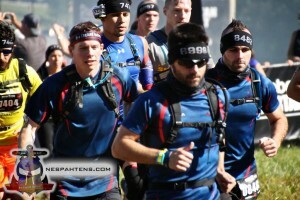 World’s Toughest Mudder had multiple people complete over 100 miles in the Las Vegas desert. 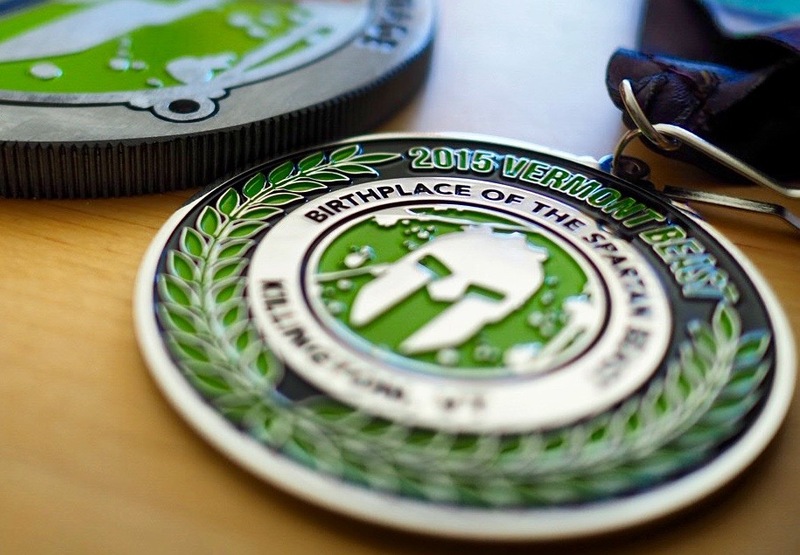 Spartan Ultra Beasts have been well over 35 miles, including some of the most insane changes of elevation. There are these types of races all over, and we attempt them. Sometimes we fail, most of the times we succeed and to overcome these events is borderline insane. 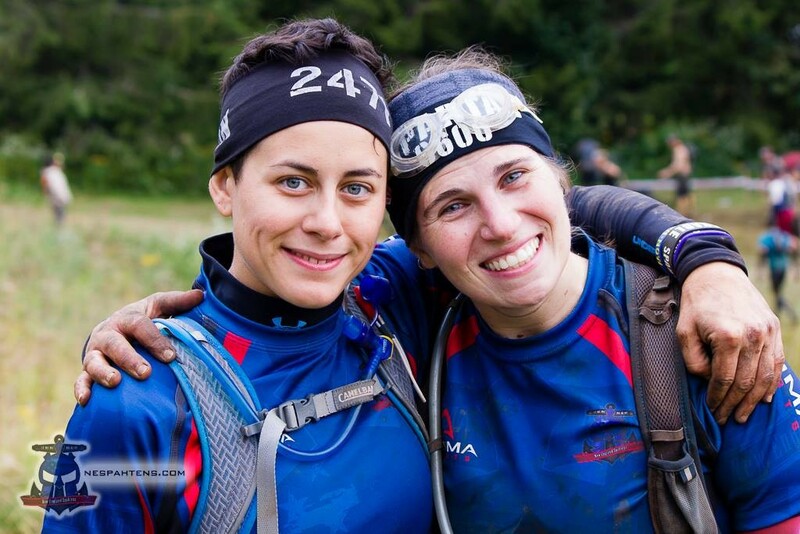 Before and after the events, are the hours upon hours of training, running, climbing and preparation that we all do. This all brings stress upon the body. Our participation in the events are the result of hundreds of hours of preparing our bodies and minds. When we stop and sit back and think about what we have accomplished, we are proud and we should be. What some of you do, and I am not including myself here, is truly remarkable. I am going to remind you here, today to listen to your body. You are a fragile piece of machinery and there are so many things that can happen and go wrong inside of you. You, and only you, are the only person that controls that body. It is up to you to decide when the time is right and the time is wrong to get to that starting line and completing races. 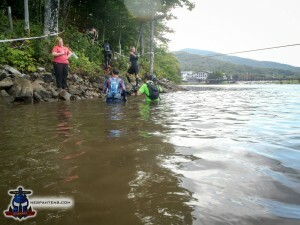 A few years ago, I was in Killington on Mile 10. A friend of mine was sitting on the floor. She was resting, looking out at the majesty of the Vermont Mountains. When we talked for a few minutes, she told me that she made it this far and she knew she had some medical issues and had to stop. She knew that was her time to let the rest of the day go. She was listening to her body inside and felt that if she went on, irreparable damage may have taken place. She may have sat back and thought that it was the wrong decision at some point, but as I see her posting photos of her with her young child, I know it was the right decision to make. 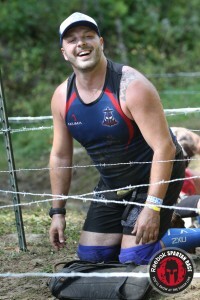 I have talked about breaking ribs at a Rugged Maniac a few years ago and finishing the race. I was near the end, and I was still able to breathe. I am not a doctor and I do not have a degree, but I felt I was okay to finish and that I would have medical attention within minutes. I did as soon I crossed the finish line. There is nothing like crossing a finish line, whether you are a newbie at an inflatable race or the most elite of elite at a championship. That finish line signifies all of the hard work that you put in to get you there. Make sure you get yourself checked periodically. Do you really know about that supplement or that new exercise? Do you know if that twinge in your knee is just from the changing air pressure or something much worse? Do you really know why you have been short of breath? In this whole universe, there is only one of you. You are unique and you mean something to yourself, your family and your friends. Listen to yourself. Listen to your body and please make sure that you always come home from every race that you start, no matter how much you have sacrificed to get there. Take a moment to take a breath because you are epic and as always, keep playing in the mud. The other day, I was talking to a friend of mine that I have not seen since last September. We were having a talk about our lives and changes that are going on in hers. Changes are happening and I had no idea. While we are not the closest of friends, we had a pretty good heart-to-heart talk as I had gone through what she is going though now. 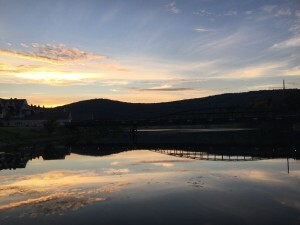 As our conversation ended, she said to me “Family isn’t always those that share your blood.” My reply was, “I have the topic for my next column”. Many of us are part of obstacle course teams. We train with them. 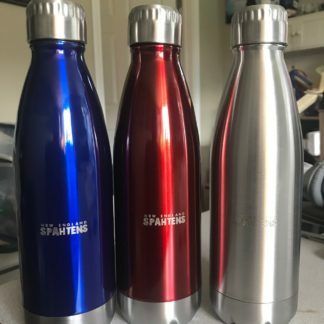 We travel to races with them. We race with them and we eat everything in sight after races with them. They are teammates and the more you spend time with them you realize that they are much more than just friends, they are family. One of the definitions of the word family is “a group of peoples regarded as deriving from a common stock” and there is also “a group of people united by a certain common affiliation”. That is perfect in terms of obstacle course racing. The people I race with and the people that I go to battle with are my family, the New England Spahtens. Our common stock is the insanity that we put ourselves through on a race-course. Our common affiliation is more than the shirts on our back; it is our love for being on the course and the desire to keep playing in the mud. I have been with the Spahtens and been racing with team members since 2013. 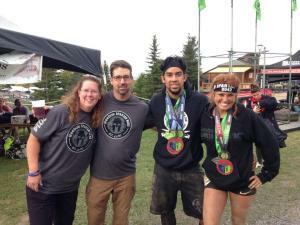 Since I have started with OCR Buddy, I have gotten to know members of many teams/groups. 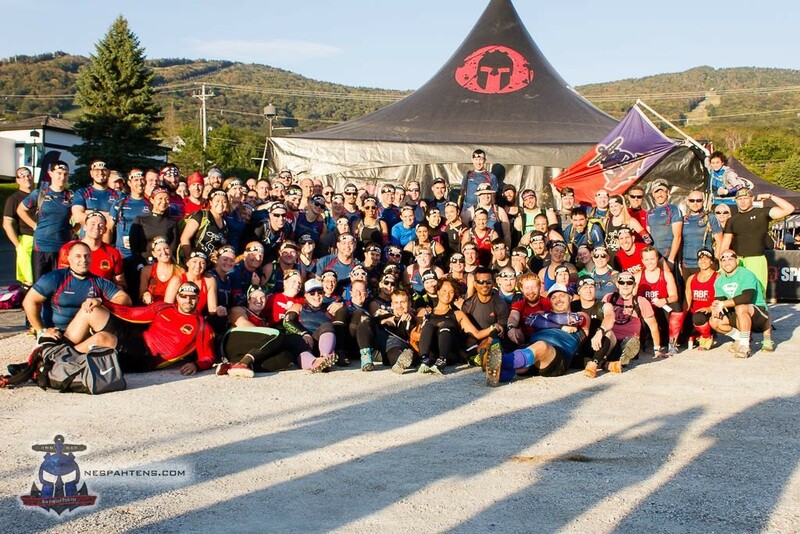 The Crazy Mudder Muckers, Lone Star Spartans, Battle Races, Team Avery’s Army, Spartan 4-0, Colorado Obstacle Racers, UK Solo Mudders and the OCR Wrongens are a few that I have gotten to get to know and become affiliated with in one way or another. I see the family theme run through each group. I have seen posts asking for help within each group and the team member responses. 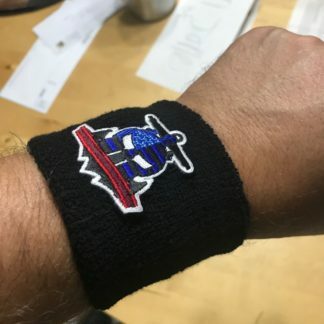 If you do not believe how people in the OCR Community reach out to one another, just look at how many profile photos have changed to the logo of the Colorado Obstacle Racing team supporting them after their tragedy. People care about one another and they show it in so many ways. This whole sport is one big family. Back to my Spahtens and being family. In my short few years, I have seen almost everything from his family. I have seen family that has faced divorce, family separation, loss of jobs, relocations, illness, death and almost everything else we can face as human beings. The dozens, if not hundreds of people that have stepped up to offer their hand in support, gave their time, opened their wallet and sat and let people cry on their shoulders. I have also seen engagements, children being born, people being married, promotions and the fun positive things we enjoy in life. The people and responses are the same. In both cases, the responses are filled with love and you do not just get that from crawling through barbed wire with someone. You get it from being family. Personally, I couldn’t count the number of people reached out to me when my twins were born, when I had illness in my family and those who just message me and check in regularly. It is a family that we are part of. 2016 was not a year of many races for me. 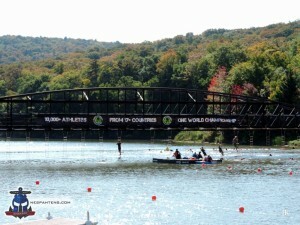 I had not traveled much last year in my races and I did not get to many events outside of Long Island. When I stepped foot in Killington last year, I received hundreds of hugs from my family and the amount of love that I felt was second to none. People running by me on the course (and believe me, everyone passes me) stopped to say hello and chat while losing a few seconds of their time for me. This family is second to none for me and every time I see someone in something Spahten, I feel at home. While I am a Spahten at heart and I talk about them, I do it for a reason. 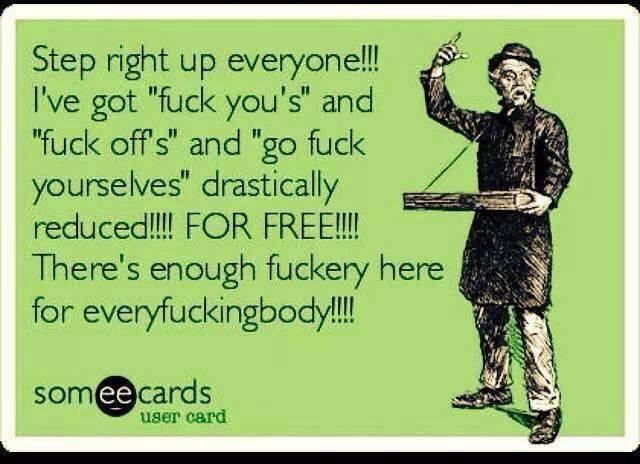 I am hoping that each and every one of you that are reading this feel how I do about your group. I hope that you love your group. I hope that you feel that you could not race without your group. I hope that you see a teammate and feel that the person looking back at you is your brother or sister. I am hoping that you feel the love that I do. Back to my friend, I saw her up at Killington in 2016. When she saw me, she ran over to me and jumped in my arms as if she was best friend from college. She isn’t from college. She isn’t even from five years ago. I met her a couple of years ago and I heave learned that she is a good person, with a good heart and would do anything and everything for her friends. To me, that is family. Look at whom you affiliate with. Do they smile when they see you? Are they jumping in your arms and hugging you any and every time they see you? Will they help you at the obstacles, high five you when you succeed and heckle you when you fail? Good. That is your family and I hope you appreciate what they are to you. You will learn, if you have not learned yet, that these friendships will take you to places that you have never imagined. They will go far past any finish line and take you through life. Family isn’t those that you share your blood with, they are those you share your life with. Love your team. Love your friends. Love your family. Until next time I see you, be epic and keep playing in the mud. This year, it was announced that there would be a United States OCR Championship to go along with a World Championship, two European Championships and countless other championships around the world. With these championships announced, people are starting to make plans. If you look around Facebook, particularly in the United States, people have started to post about plans. People are posting their OCRWC qualifying emails and all of their hotel and travel plans. What about the rest of us? Most of us are not championship material. Writers note: I know that a qualification for the US OCR Championships this year is a pulse and breathing, but you all understand what my point is overall. Most of us will never podium at a race or be in the first few that get the “Congratulations” email. So, what about the rest of us? Goals. Let’s look at goals for a moment. Some people have the goal of winning, placing on the podium or qualifying for other races and championships. Others have the goal of time and beating past times. Then there are some like me and many others who have the goal of finishing. All are valid goals and from the people I know and talk to, more people have the goals that I have…finishing. So what are we to do? We quit racing. No. That’s not serious. In fact, we push on and push forward and achieve our goals no matter what they are. As I have said repeatedly in the past, I am a sloth. I am not fast on any course, whether flat, mud, mountains, stadium. My goals are to finish any race I have started. I know what my limitations are and I know what I am capable of. Do you? Goals are important to each and every one of us. We need something to look forward to and something to achieve. It is one of the reasons why we race. We go out there to test ourselves and see what we are capable of. We make ourselves uncomfortable to test our inner will. We want to overcome what we think cannot be done and we imagine the feeling we have when we have overcome the obstacles in front of us. What is your goal? We all have them? Is it a 5k mud run? Is it a Tough Mudder? Savage Race? Endurance Run? Whatever it is, achieve it. 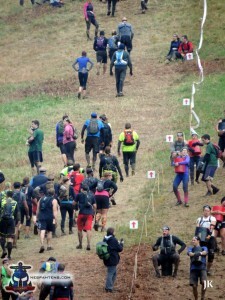 My OCRWC is the Killington Beast in September. All along the way I have other races and even a tower climb mixed in. The Beast at Killington is my championship. That is my goal for the year. That is what I build to throughout the year. I start with a Beast in Jersey and race all along the way until I get to my championship. 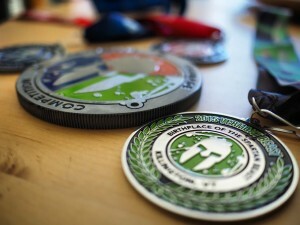 My goal is to get to that race, overcome it and collect a few medals and shirts along the way. What are yours? 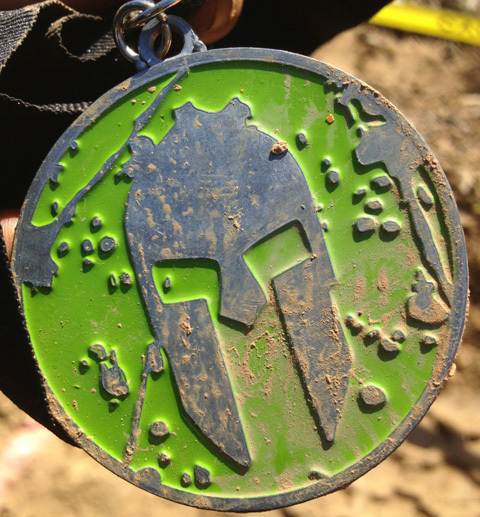 Is your goal to finish a 5k, a 5-mile mud run, 10 mile race, a win, a podium or a championship. Go for them. Your goals start from within and they start with a statement. “I want to (fill in the blank)”. Once you announce your goal, it is out there for everyone to see and most importantly, for you to achieve. After you announce it, live it. Spend your days and your time achieving your goal. Every time you set on a course, go into a gym, train on a trail, look toward your goal and achieve it. Believe in yourself and set a goal, overcome all obstacles and get to your championship. Whether your championship is finishing a race or the actual championship, achieve it. Thanks for continuing to be the ones who want me to overcome, to achieve my goals and to wanting me to achieve my own championship. I hope I can help you push to achieve your goals and overcome any obstacles to achieve your championships. Until next time my friends, be epic and keep playing in the mud. 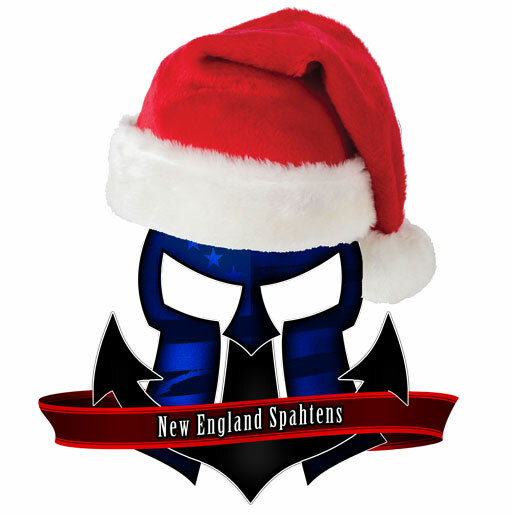 Weekly, I have been posting on the New England Spahtens Facebook page. These posts have motivated people, reminded people of their worth, shown people that they are not alone in the world and also shown everyone that we are all one family. The obstacle course world is the same. People feel alone. People do not feel worthy when compared to others. People do want to continue because they just don’t have that motivation. I hope that these posts help change you and show you that you are all amazing people. Besides weekly new posts, on Mondays I will be posting a “Monday Memory” of a Facebook post of the past. 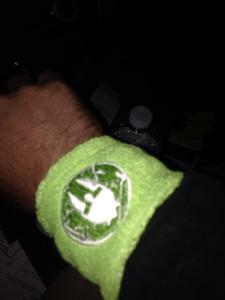 These memories will posted here, with a current introduction. Be epic and as always, keep playing in the mud. Two or three days before Killington, people start to freak out. I wanted to remind people that we are all scared. We all have fears. We all have worries. However, that fear also brings us all together. Fear drives us and pushes us. I wanted people to begin to channel that energy for something positive and based upon the people I met on that mountain, I believe it worked. Fear can do one of two things, it can freeze you or it can drive you. In two days, I will be on a mountain in Vermont. Standing at the base of the mountain that is scary. You look up and think, how the hell am I going to get all the way up there? You look and you see obstacles and carries and all these people around and you think…”30% of these people will not finish this race”. You have a choice. You head into the race wondering if you will be a statistic, a number, a DNF and wondering if you gave it your all. Or, you use your fear of the unknown and of that mountain and you use it to drive you. You motivate your friends, your battle buddies and your race family and you will tell them that they will make those climbs, they will carry those carries, they will complete the obstacles and the crawls and they will jump the fire. You use this Beast in front of you as motivation to make yourself a better person, a stronger person and someone who will not listen to the voice on your head saying ” I cannot”. There is no alternative. There are no insecurities. There are no options in your day that includes failure. Stand in the starting corral, look to your left and look to your right. Let them see your eyes and your confidence and show them all that “We ALL got this”. Let’s all congregate up in Killington tomorrow and conquer the Beast. 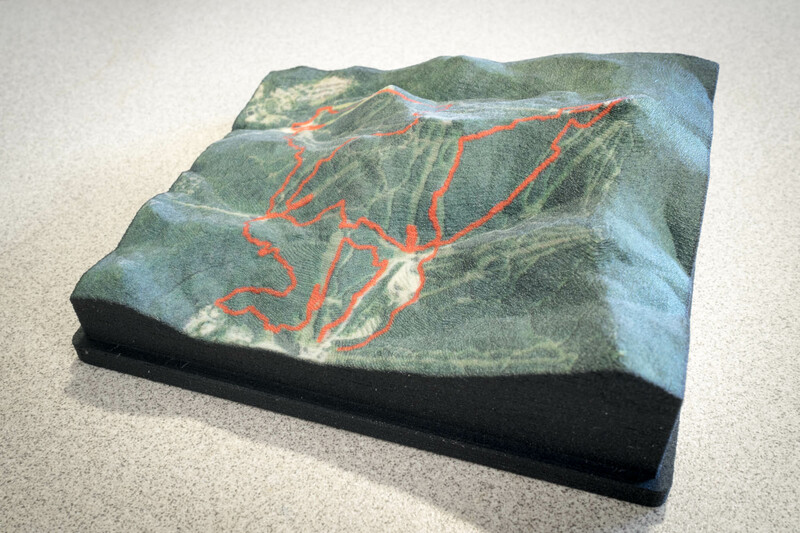 A recent Outside Online article was shared to the NE Spahtens FB group – introducing me to Nice Trails, a company that turns your GPS track into something tangible and physical that you can display on your shelf. 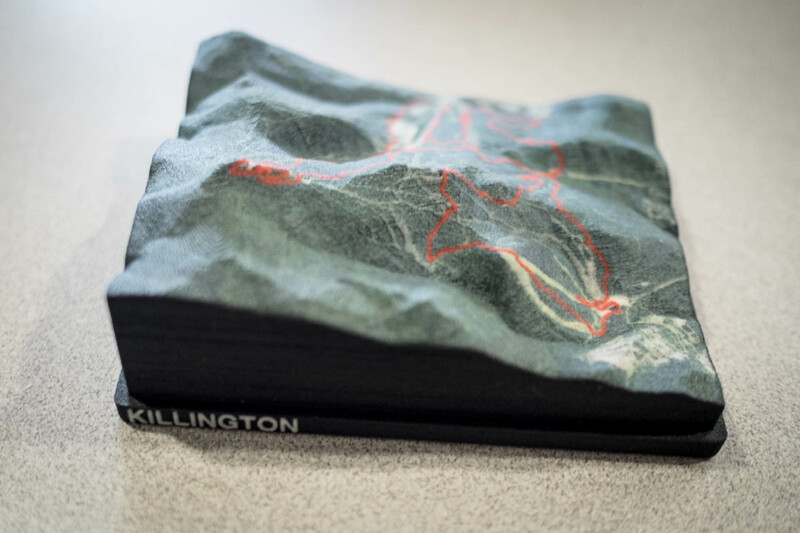 I reached out to them, and after some discussion and back and forth, they offered to produce a map from my 2015 Killington Beast, and while I was away on vacation it arrived, to be unboxed and reviewed when I got home. Before you ask, I have asked about an NES discount code, and presently they’re not setup to do so – hopefully we can offer one soon! They produce these in an interesting way – they’re 3D printed by Shapeways, a vendor that specialize in producing and printing items for people, and offering a sell through store – think of something like a 3D printer version of Etsy. They know what they’re doing, and will be consistent in their quality. The items are hollow, so light weight, and they have a rough texture feel. My biggest feedback on the piece is that the size isn’t quite what I anticipated, but looking over the gallery on their website and Facebook, I imagine the size of your piece depends on the type of GPS log they receive. 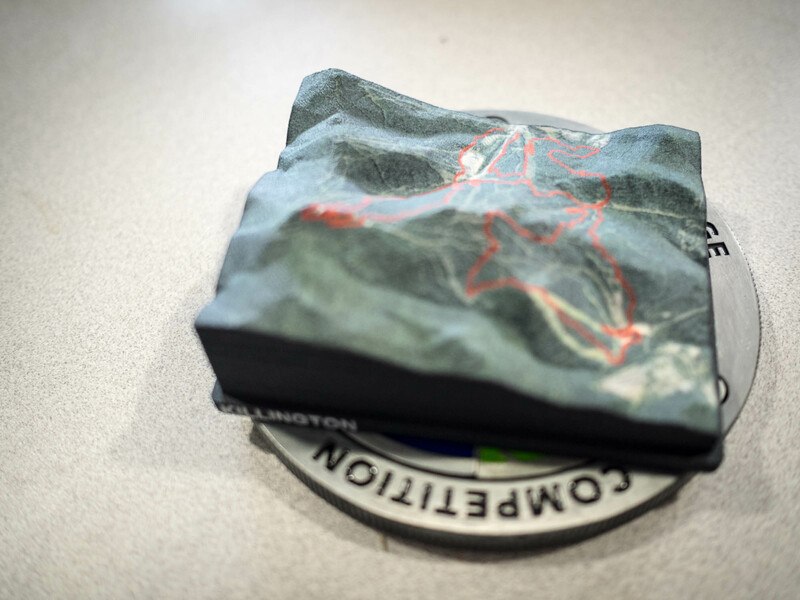 I shared a few non mountainous GPS logs with them, and their guidance was to go with the Killington track – so don’t anticipate flat races to display as nicely as something on a larger elevation change. 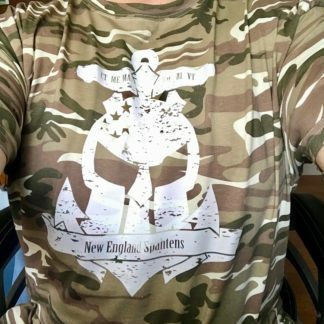 I think these make really nice memento’s for your shelf – pick a nice GPS log from a memorable event, reach out to the nice people at Nice Trails and let them know you’ve come from the New England Spahtens – post a photo to the group when you get your piece! 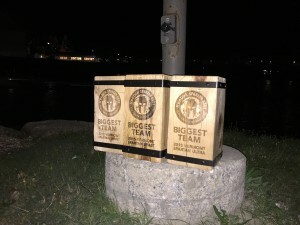 A recent Facebook Poll of the New England Spahtens was run to determine the top five favorite OCR events in our region. As we ALL know, polls are not science, and the wording used was “favorite”, which is subjective. Also, Facebook polls allow you to vote on multiple entries – but only one vote, per entry. All that being said, I think the list is pretty representative of the New England Spahtens, and with good reasons – so, here’s your top five favorite OCR events in the New England region. Note – the poll is still active and receiving votes, so the results you see *now* maybe different to the results I saw when I started this article. In fact, I’d bet on it. A relative new comer to the scene, Bonefrog landed with a big splash – putting on a longer distance, obstacle heavy format for the true OCR enthusiast. Bonefrog puts on solid, challenging courses that have very quickly become fan favorites. Attracting Elites and average Joe’s, with a Navy Seal theme and inspiration, this series is also owned and operated entirely by retired Seals. With a #racelocal Grand Prix event in western MA in May, Bonefrog wants to expand – so keep an eye on their calendar for races as they open up. 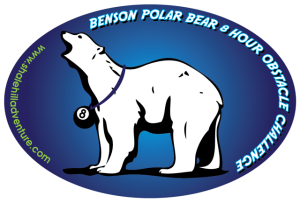 This was my personal pick – 8 hours to run as many laps of the famed Shale Hill course in the snow, in February. I’ve done this event twice now – and countless other events at Shale Hill, and never managed more than a single lap in that 8 hour window – but with an amazing family welcoming you by name, another challenging course thats perfect for the enthusiast, or the weekend warrior looking to push themselves – Shale Hill is world class, and in our backyard. Every event is going to be on the #racelocal calendar! 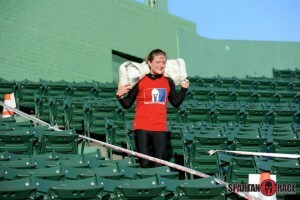 It’s easy to spot why FIT Challenge is a New England Spahtens favorite, and staple in the #racelocal Grand Prix. Race Director Robb is active in the community, from participating as a fellow athlete at events, to answering any and all questions people bring up prior to his races. A good choice of past venues, all in an active region of New England. On race day, people are treated well, with large amounts of community space, the best pricing and treatment rarely seen anywhere else. The FIT course is usually around 5k, and while a solid course in it’s own right, it’s the family and friends treatment that puts FIT above many other similar races. 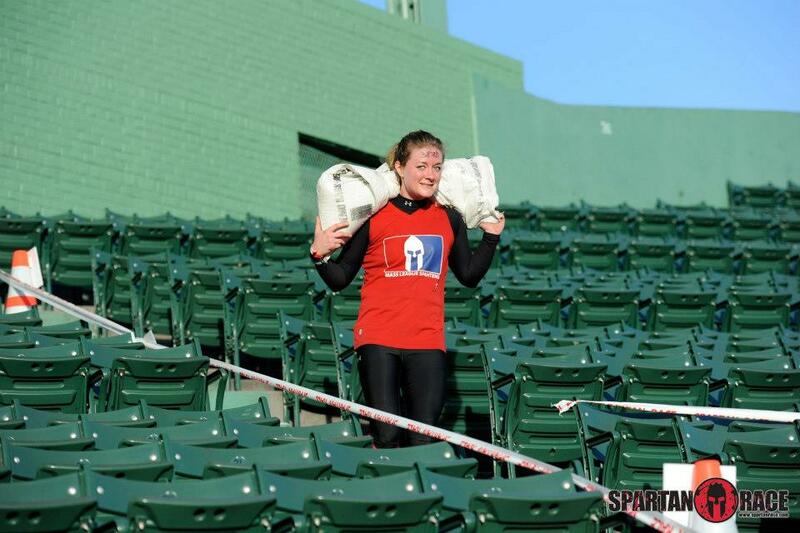 Despite the frigid cold and packed ball park, Spartan nailed it with Fenway. A fun, but challenging course, a space set aside for the biggest team, and a full street taken over by the festival outside. As a community we saw a huge turnout, which was handled as well as can be expected on race day, and you couldn’t turn anywhere without seeing a Spahten shirt, even if they were supporting other communities. Massive volunteer turnout, both in the days setting up, all day on race day and during tear down showed what this community was all about. 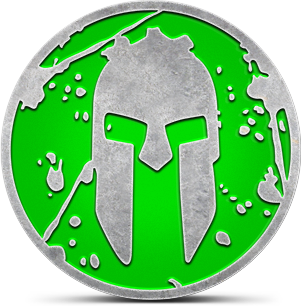 The Grand Daddy of all Spartan Beast events. 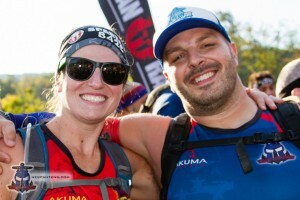 This particular rendition was overly long, criticized by many for having almost all of it’s obstacles in the last couple of miles, and having too many “carry heavy things” obstacles – and despite that, it topped the rankings for the most popular event of the calendar year – showing that no matter what the internet experts think, the general OCR population is still in love with the Spartan Race suffer-fests. 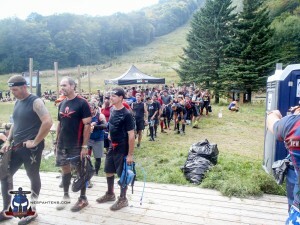 The VT Beast takes your Average Joe and puts them out of their comfort zone, testing themselves somewhere they never thought they’d be, and Killington holds a dear place in many hearts as a result. Time will tell if removing the World Championship, and adding a Beast in New Jersey will help, or hinder the VT Beast. Of course, this isn’t the most comprehensive, scientifically deduced list out there. 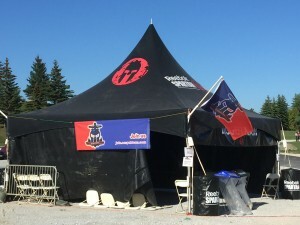 You may not see yours on it, and you may not agree with it – but, it’s clear that in New England, in 2014, Spartan Race provided the highlights for the most – but with three solid choices right behind them, and many other solid choices in the Grand Prix -New England leads the country in quality and choice for OCR. Which races do you think we missed? Which races are you already registered for?